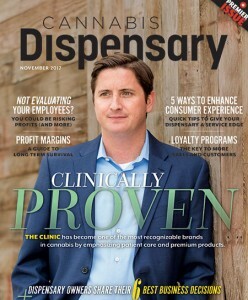 Last fall, GIE Media launched Cannabis Dispensary magazine to serve dispensary owners and managers across the US. Team members relate what they learned in the process. With the myriad B2B magazines out there – there’s a B2B publication for just about any industry or business segment – it’s not every day that we get to see the launch of a new magazine at our publishing companies (much less start a publication on our own). Last fall, I got to watch as colleagues at GIE Media launched a magazine – Cannabis Dispensary, a B2B magazine for dispensary owners and managers. I didn’t play a role in the startup of the publication, but I do recall Cannabis Dispensary members working especially long hours in the months that led up to the magazine’s launch. Those editors were often the first ones in the office and the last ones to leave at the end of the workday. I know some would take work home with them – especially as many were also working on the sister publication Cannabis Business Times. After the magazine debuted its first issue in November 2017, everyone who worked on the brand says it was a success. I followed up with Cannabis Dispensary Editor Noelle Skodzinski and Group Publisher Jim Gilbride to get their take on what this past year was like for them and learn their advice for other editors and publishers out there. Smalley: What was it like launching Cannabis Dispensary magazine in 2017? Gilbride: When we launched Cannabis Business Times as the only vertical magazine in the market serving cannabis cultivators, we always knew a dispensary publication would follow. We launched into the marketplace as the only publisher who went after these two distinct, vertical markets within the industry. It’s been key to our rapid success. maintaining the strength of our other brand Cannabis Business Times magazine and our Cannabis Conference – would be far more difficult and less likely to succeed. We also were fortunate in that we had substantial knowledge and a lot of connections in the cannabis industry from our work over the past couple of years with Cannabis Business Times and our Cannabis conference. We had been to many dispensaries and had a fair number of connections to help create a strong foundation. So, we reached out to some dispensary owners we knew, along with some who we didn’t know personally, and asked them to serve on our editorial advisory board. When we explained that we were launching the only magazine to focus exclusively on the needs of the cannabis dispensary, people were so enthused, it just added fuel to the fire! Smalley: What were some things the staff had to do to prepare the launch of Cannabis Dispensary? 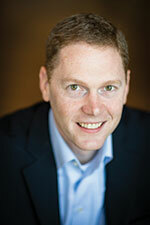 Skodzinski: I had lengthy conversations with every member of our editorial advisory board about the biggest challenges they and their businesses face and what topics they would want to see covered in the magazine. We hired our senior editor, Scott Guthrie, to help steer the content direction and implement our strategy for Cannabis Dispensary, as the rest of the staff was pulled in so many directions already. Very late nights and weekends were the norm to ensure this new magazine was going to be exactly what we envisioned and would meet our editorial standards. Having Scott focused only on this magazine really helped our strategy and our ability to roll out our collective vision and keep things moving through Cannabis Business Times’ production cycles and during the height of our conference planning. Our editorial team had many planning meetings where we reviewed our content strategy, brand voice, specific topics we wanted to cover in the launch issue. We also had to research any companies we were considering featuring, especially because of our reputation among cultivators with Cannabis Business Times, we wanted to make sure that any business we covered not only had a good reputation among consumers, but also among cultivators. We met with our art director and reviewed our overall vision for the magazine’s ‘look’ and then reviewed drafts of every element of the design, from column and department headers to pull quote and sidebar styles to photography treatment down to even the page footers. You don’t always realize how much thought goes into a magazine until you launch or redesign one – everything is new! Smalley: As the brand launched, was it difficult to gain authority with sources when putting together content for the magazine’s first issue? Skodzinski: Surprisingly, not really. Our reputation with Cannabis Business Times was so strong that it really helped support what we were doing, and many dispensary businesses had already heard of us. They knew we would be producing a serious, quality business magazine along the lines of Cannabis Business Times. That said, if they hadn’t heard of us, it could be, occasionally, a challenge without a website to send them to or a magazine to review. Less than one year into the launch, however, our brand has already become really well established. Smalley: So, looking back to last year, what things went really well when rolling out the Cannabis Dispensary brand? Gilbride: Sales have performed very well since day one. There was an immediate interest from the market in partnering with us, not only because of the industry’s need for more in-depth coverage of cannabis retailing, but also because of the level of sophistication and dynamic coverage we’ve become known for within the cultivation market. All those factors combined to help us meet our sales goals for the launch. Skodzinski: Our editorial staff and content strategy, our award-winning design and the super talented designers behind it, the overall direction and motivation from our group publisher, Jim Gilbride, our amazing sales team and a dedicated audience-development effort made it possible for almost everything to go well. Those things, along with our involvement in the industry, helped us generate a ton of excitement around the launch and establish he brand very quickly as the go-to source for cannabis dispensary owners and senior management. Smalley: What things would you have changed if you could get a redo on rolling out the magazine? Skodzinski: Good question. I don’t know that I honestly would have changed anything, except maybe had a little more time to plan, but doesn’t every editor want that? Gilbride: It’s difficult to say what we might do differently, as we have seen a great deal of success in the five issues that we’ve published. And a lot of that success came from careful, strategic planning. I’m sure we’ll have a few things to share, however, after a full year of publishing the magazine. We can always continue to learn and grow, no matter if our magazines are brand new or long-established. Smalley: How would you say Cannabis Dispensary is doing today, almost a year since it launched? Skodzinski: Phenomenally. I couldn’t ask for things to have gone better. Launches are ridiculously tough. This industry is a challenge in so many ways, especially with cannabis still federally illegal. Serving a niche in the industry and providing service-oriented content has been a major advantage, as, again, has our amazing team – from editorial through publishing, sales, art, audience development and production. We are becoming a household name so quickly. I recently went to a brand-new dispensary in Pennsylvania, and I started to introduce myself, but only got out, “Hi, I’m Noelle …” and the manager said, “Skodzinski! I know your picture! I love the magazine!” It’s things like that and feedback from readers, along with the insane number of companies reaching out to us to be featured or to contribute content, that let us know we’re doing something right. The growth in our circulation is another indicator. We launched with 6,000 print subscribers and now have more than 12,000 print subscribers and 16,684 print and digital subscribers in less than one year. We also have nearly 7,000 email subscribers and our web traffic is increasing every day. Smalley: That’s encouraging news. So, what are goals for the future of Cannabis Dispensary? Gilbride: Yes, we do plan to grow Cannabis Dispensary to a monthly print magazine. As far as the main goal of our publication, it’s pretty true to our core mission: to produce the highest-quality, most well-read publication to help dispensary owners run a more effective and profitable business. Smalley: What advice would you give to other publishers or editors who are launching a magazine brand? Skodzinski: I have always relied heavily on editorial advisory boards, and I highly recommend this to anyone launching a new content brand of any kind, as well as to those who have existing brands. Gaining insights from those in the industry you are serving is invaluable to the strength of your content. Gilbride: Don’t simply assume what people want. Go out and talk to people in the market. Ask them what they need, from both a readership and advertising standpoint. Ask them what they do now to gather that information or what they are doing to market to those readers. You can learn a lot from spending time with both of these audiences to understand where there may be a market need.